I will never, ever tire of visiting Riva del Garda. I'm lucky enough to travel there twice a year (January and June) for work for a footwear tradeshow and I wanted to tell you my go-to restaurants. 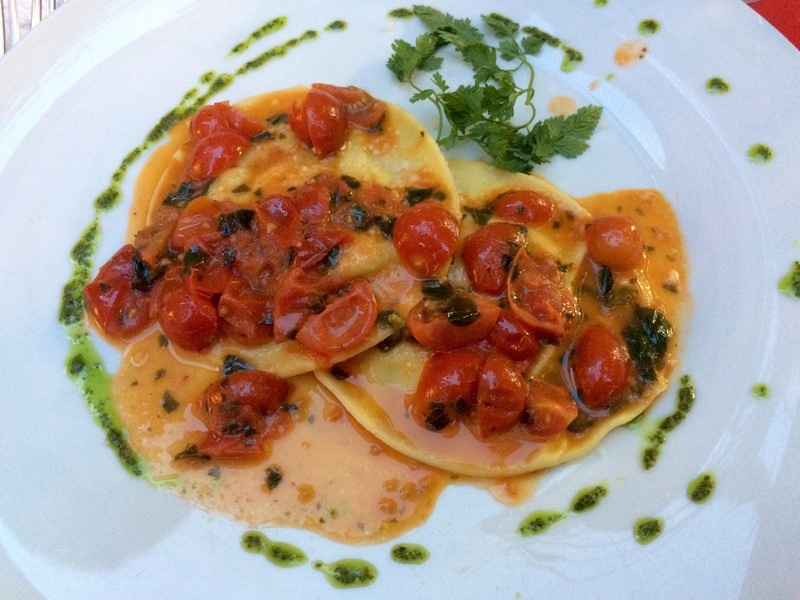 As you'd expect from a place like Riva del Garda, the bulk of its restaurants are Italian restaurants. In the last year or so, a few other places have popped up (a sushi restaurant, for example) but in pretty much every restaurant you should expect to see menus full of cheeses, meats, pizza, pasta, fish dishes etc. I'm a creature of habit and tend to go to the same restaurants these days, mostly out of convenience as they're close to my hotel or in the town. I used to stay at the Parc Du Lac but this January stayed at the Savoy Palace Hotel. The Du Lac is incredible! The gardens are unbelievable and as you make your way through them, you are brought out straight onto the lake. Whilst it is a fantastic place to stay, for the amount of time I'm in the hotel during the days for my work trips, I decided to try somewhere cheaper for this trip. One of the British companies that attends the tradeshow I attend stays at the Savoy Palace and recommended it to me last year. I must admit, although not as modern as the Du Lac, the place is great. The staff are lovely and, I found, you get a lot more of a personal welcome at the Savoy than at the Du Lac. The breakfast is good, the rooms are typically Italian but very spacious, have balconies with great views of the mountains and surrounding area. Also, the beds are VERY comfy, which is a complete rarity in Italy as the matresses are usually really hard and the pillows are even harder. Anyway, back to the food. I'm always open to trying to places in Garda as there are SO many restaurants to try. Both times are visit are slightly out of season, especially in January. A lot of places are closed but the main ones stay open whilst the tradeshow is on. The Pizzeria @ Residence Centro Vela - Viale Rovereto 101. This is probably the place I've eaten at the most when staying in Riva del Garda. The menu is enormous, hosting everything from your typical pizza, pasta and antipasti dishes to the salmon trout that is famous in Garda. The staff are always very helpful and the food is always great. Another place I've eaten a few times, Hotel Bellavista has some seriously good food. 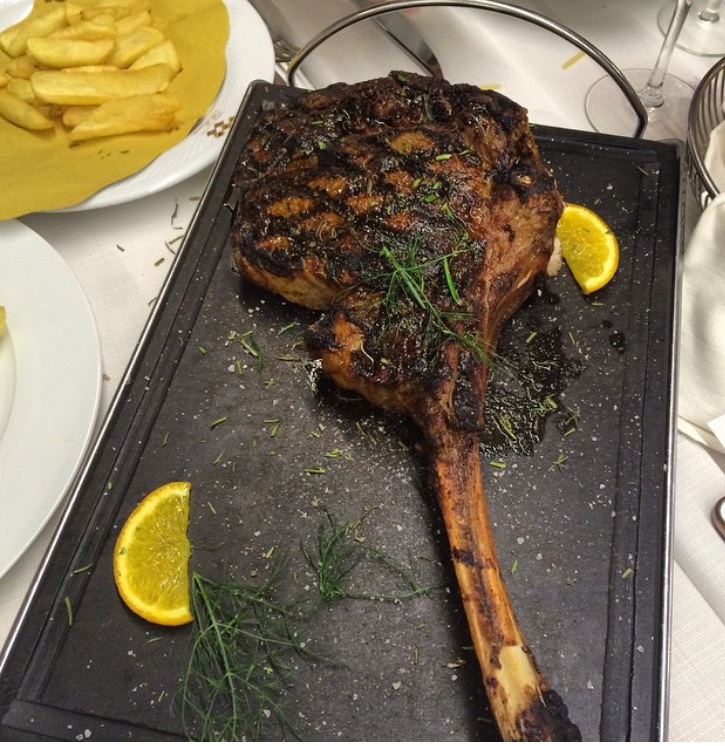 My favourites are the Tomahawk steak (which is definitely a sharing main! ), lobster tagilatellie (SO good but a very big first course!!) and the salmon trout is cooked perfectly. The staff are so lovely and the service is really good. The sister hotel to Hotel Bellavista, Gardesensa has the same chef and the food is equally as fantastic. All it doesn't have is the beautiful view of the lake...and the menu is more restricted. A 5 minute drive from Riva del Garda, Torbole is home to the lovely Surfer's Grill. The staff friendliness is slightly lacking but the food is delicious. I've only been the once and had the mushroom, soft ricotta and beetroot tortellini and it was delicious! 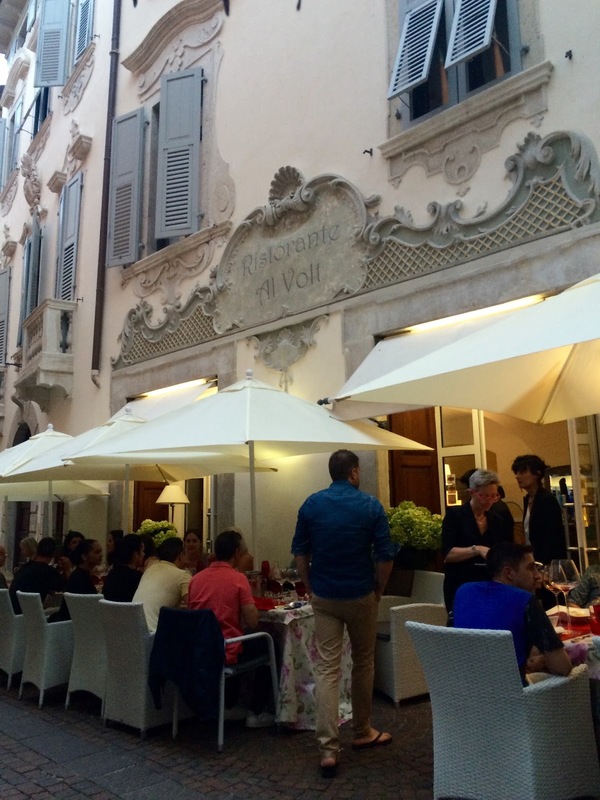 Renowned for being one of the best places to eat in Riva del Garda, the Volt has never disappointed. I've probably eaten there three of four times now. Another place you really do need to book as it gets busy. Al Volt is Michelin listed and has the most quaint architecture inside. A must try is the fruit sorbet dessert - frozen sorbet inside the skins of the fruit...whilst sounds a bit weird but the sorbet is delicious. I've had a number of the dishes there, including pastas and the meat dishes - all lovely! Have you got any favourite places to eat in the area? Please let me know in the comments if so.